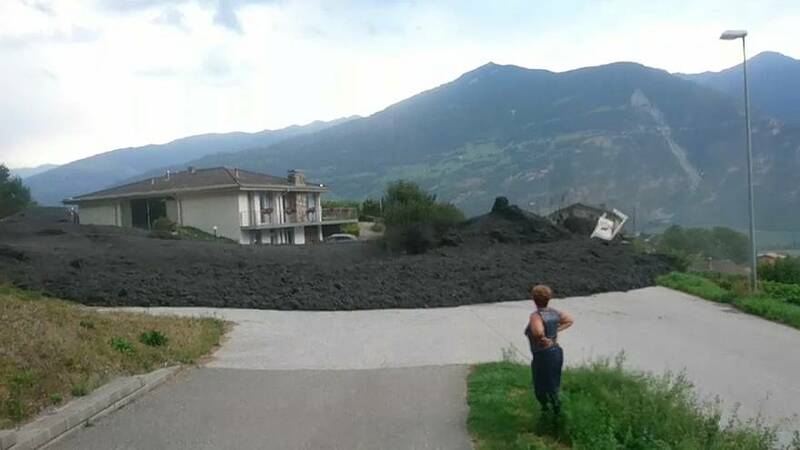 A mudslide struck the village of Grugnay in Switzerland on Tuesday night. The mudslide caused some material damage, but no injuries were reported. The mudslide was triggered by an overflowing flood caused by heavy storms. Cars and houses were damaged in the process. Two roads leading to the villages of Mayens de Chamoson and Ovronnaz were also closed.